The public consultation into the proposed cuts to library services in Northamptonshire finishes tomorrow. So far, more than 3,800 responses have been received by Northamptonshire County Council to the consultation outlining potential cuts that could save the authority £9.6 million. The consultation feedback will be analysed by council officers and will help councillors make their final decision at a full council meeting on February 22. A Northamptonshire County Council spokesman said: “Due to the authority’s significant funding pressures, we have no option but to consult on a proposed review of the current model for Northamptonshire libraries. “We are committed to maintaining a library service that continues to serve the most people who borrow items and those who use the library for other services, such as computer workshops, registration services and access to borough and district council services. “The proposals have been drawn up to take into account geographical location, deprivation indicators, patterns of usage, book borrowing and visitor numbers. “We encourage community groups and other interested organisations to consider whether their local library is a facility they would like to take on and develop as a community space. 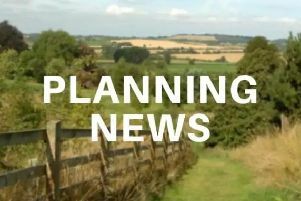 “We are currently consulting on the proposals and people have until January 13 to have their say. The consultation was criticised by campaigners for its design which has been described as difficult to fill in for library users like children and the elderly. Louise Stubbs is chair of the Save Brackley Library Campaign. The group has planned a 'read-in' at the Brackley library this afternoon to peacefully demonstrate against the proposed cuts. “Having now heard from dozens of residents struggling to complete NCC’s libraries consultation survey, we are determined to have their voices heard," said Louise. "We believe the design makes it particularly difficult for large numbers of people to complete, especially for older library users, children and those with difficulties such as dyslexia. "Asking what could be done to “mitigate the impact” of a library closure they do not want is simply confusing to many people. "The questionnaire goes on for 22 pages, often repeating itself, with a confusing layout. "The same information could have been collected in a three-page survey." Meanwhile, the Phase 2 budget consultation is still ongoing until January 30.